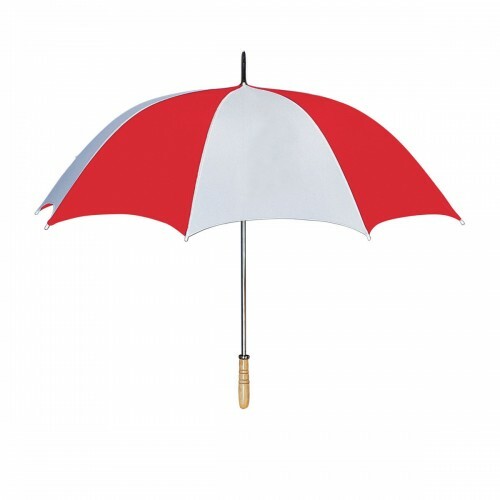 60" Manual Open Golf Umbrella - 17 Colors ! 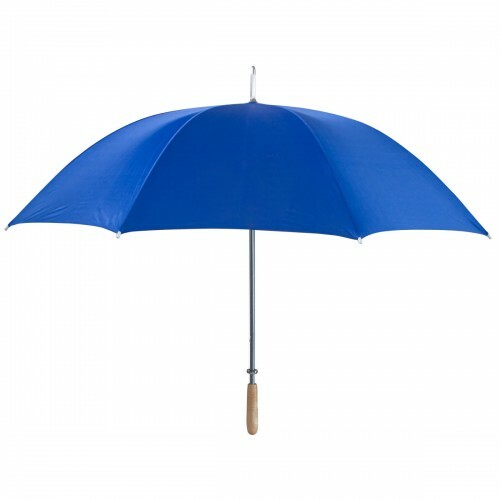 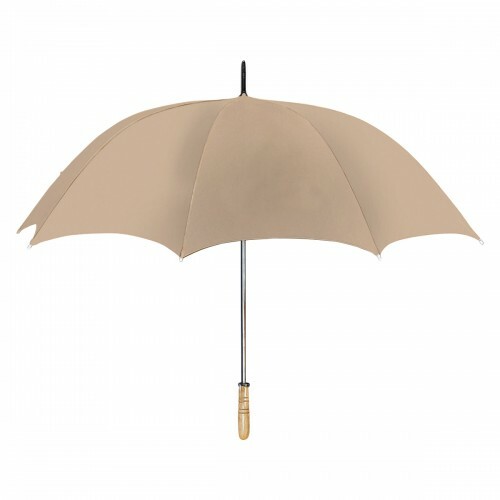 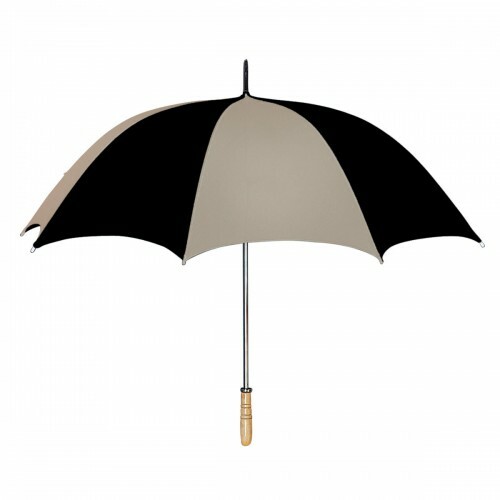 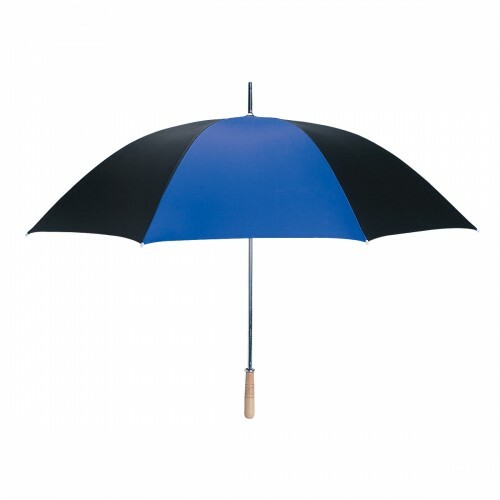 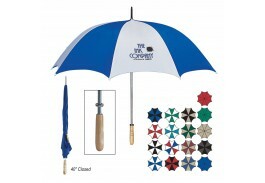 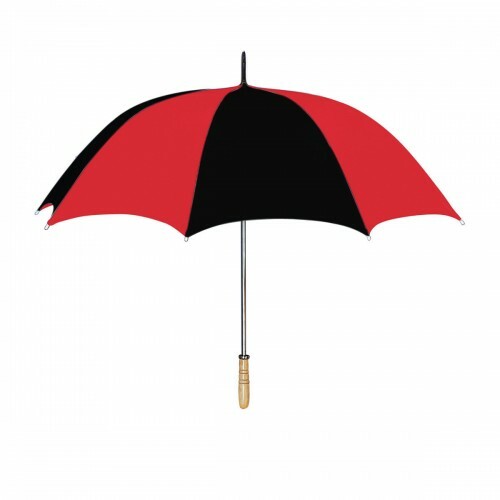 Stay dry from the 1st to the 18th hole with a promotional golf umbrella! Perfect for sponsoring a local tournament, our 60” manual opening golf umbrella features a metal shaft with a wood grip handle. 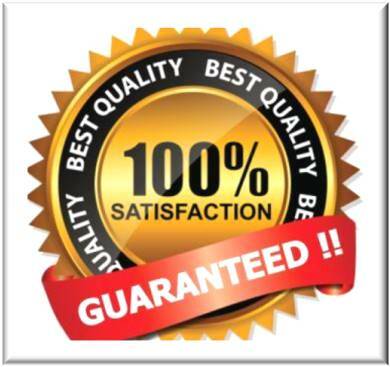 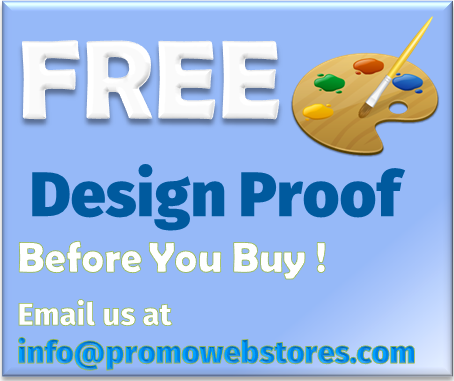 The large imprint area will ensure that everyone sees your logo, on and off the green. 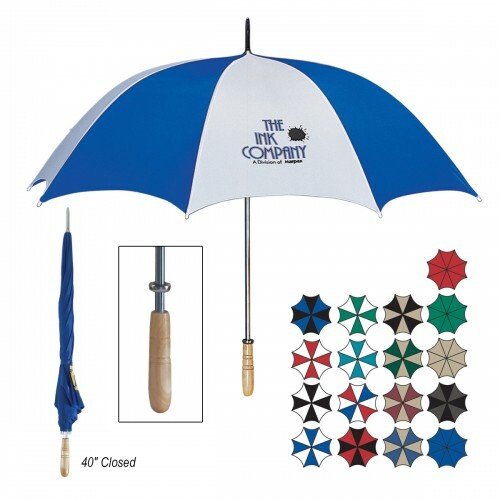 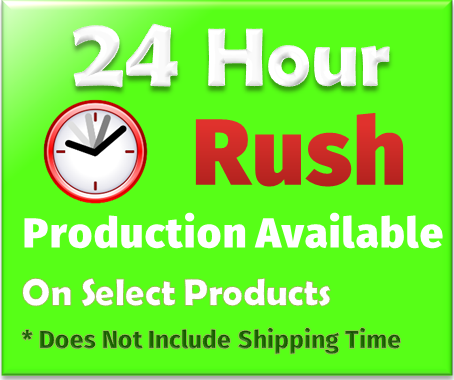 Available in 17 great colors and color combinations, this custom imprinted golf umbrella measures 40” in length when closed. Choose from 4 solid, 12 combinations, or the all American Red, White and Blue.